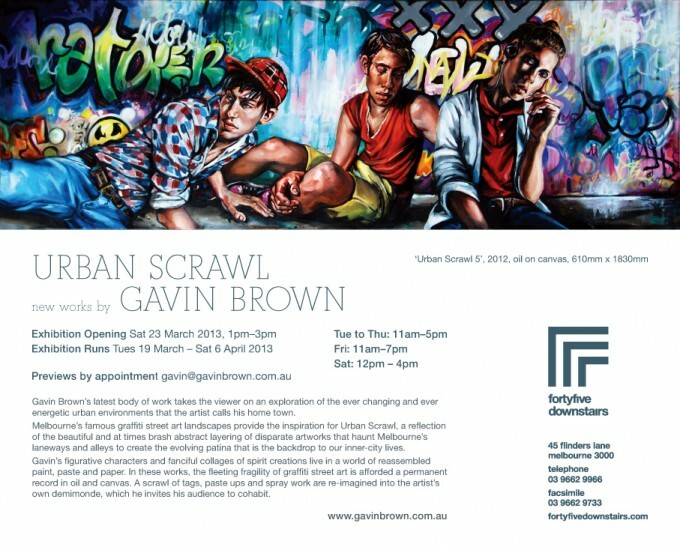 Gavin Brown’s latest body of work takes the viewer on an exploration of the ever changing and ever energetic urban environments that the artist calls his home town. 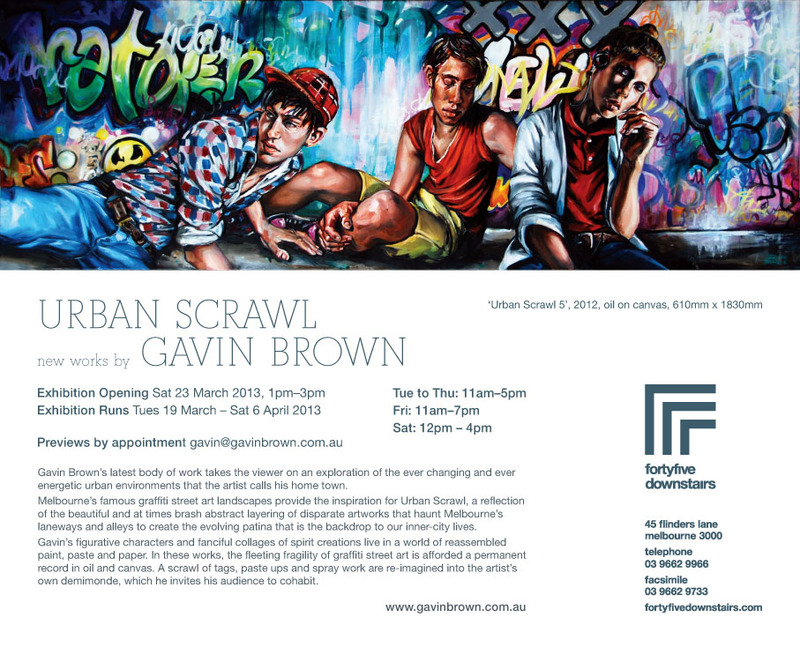 laneways and alleys to create the evolving patina that is the backdrop to our inner-city lives. Gavin’s figurative characters and fanciful collages of spirit creations live in a world of reassembled paint, paste and paper. In these works, the fleeting fragility of graffiti street art is afforded a permanent record in oil and canvas. A scrawl of tags, paste ups and spray work are re-imagined into the artist’s own demimonde, which he invites his audience to cohabit.